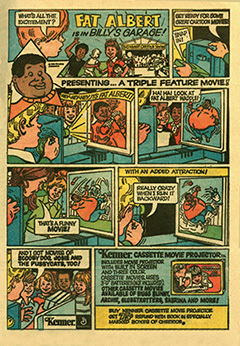 A sample ad for the Cassette Movie Projector that appeared in comic books in the mid-70s. For budding cinephiles in the 1960s & ’70s, Kenner rolled out a whole host of toys for watching movies and cartoons of popular characters of the day. This included a slew of film-based offerings, such as the Give-a-Show Projector, Movie Viewer, Real Sound Movie Projector, Easy-Show Movie Projector, Super Show Projector, Screen-A-Show Projector and Change-a-Channel TV Set. One of Kenner’s more short-lived and quirky toy lines was the Cassette Movie Projector, released in 1973. It ran on three D-batteries and included a built-in screen – a one-piece setup that made the toy quite portable. 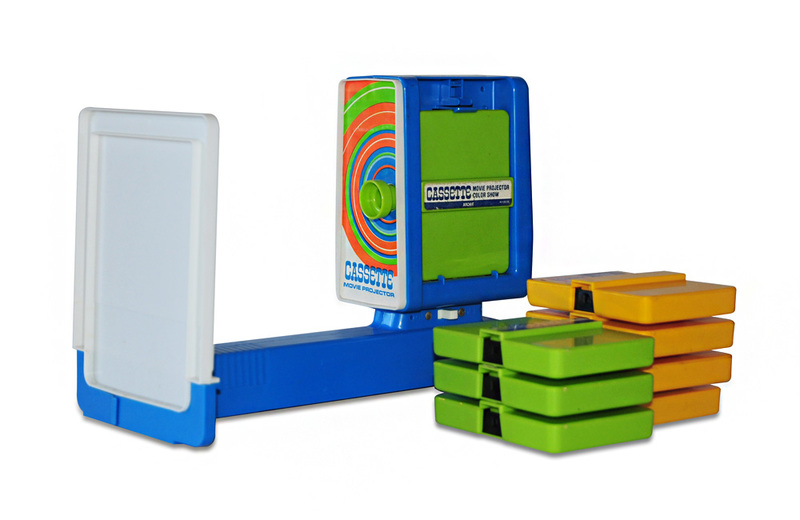 The Cassette Movie Projector’s big selling point was its use of film cassettes that could be easily snapped into place and used by young children. With power on and a cassette in place, viewing the footage was accomplished by the simple turn of a handle. Kenner marketed a variety of cassettes for the toy, including Scooby Doo, Bugs Bunny, Sabrina, Globetrotters, Archie, Fat Albert, and Josie & the Pussycats.